Hello friends welcome to our tech blog. Are you a Jio SIM user and getting connection problems while making calls? Then here is the solution for you. Now you are in a right place here we share you the way to fix jio4gvoice offline problem and Jio4g not connecting problem. Jio is the top networking company in India now most of the Indians using this network. The Jio4gvoice offline problem is very simple to fix. Jio provides high quality HD voice and video calling facility to get this features your device should support VOLTE features or you need a Jio4gvoice app for not VOLTE phone. If you are a VOLTE smart phone user you will not getting any problem in the network but for the Jio4Gvoice app users only were facing this problem. First you need to know how to configure JIo 4g voice application? Reliance jio launched jio4GVoice application for not VOLTE smart phone. This is available for both android and ios app stores. Jio also launched many applications to engage the jio users to use the jio network. You can also use those applications on PC windows to know more use the below links. My Jio app for PC/computer. This is really simple method which will work fine for most of the time so try the below methods without skipping any steps. First switch off your 4G smart phone and check your jio sim is inserted in to the 1st sim slot or not. Please put the Jio 4G SIM in the 1st sim slot and now switch on the smart phone. 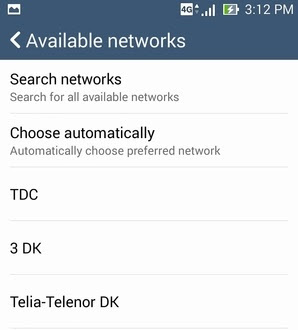 Go to settings and click mobile network option. In that click on the select network manually option. Now it will show you the current networks from that select Jio network manually. Once you made the above changes just open Jio 4G Voice app (Download Jio 4G voice for pc/laptop). Once the app opens it will show you offline status. Now turn on the mobile data the status will change from offline to online. That’s it now Jio 4G Voice app will connect you to the internet enjoy the India’s fastest network. If the above method does not work don’t worries I have another method just read the complete post. The above method will work most of the time. If it is not working try this method. First step is turn of your mobile data/internet connection. Go to “settings” and click on “apps” from that click “running apps”. Now from the running app list select the Jio 4G Voice app and stop the app running (force stop). 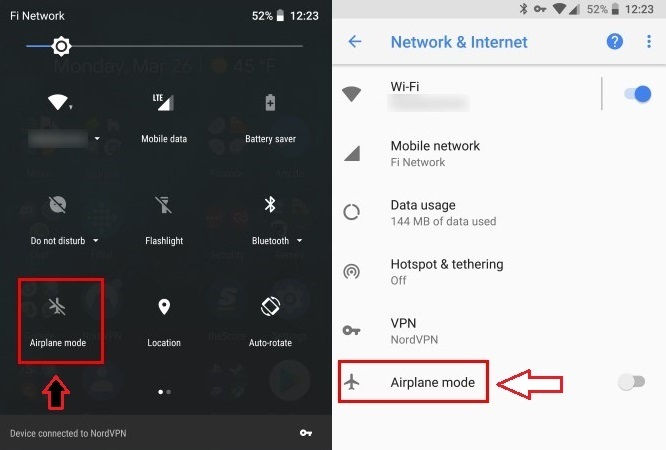 Now go back to home screen and enable the mobile “Airplane mode/Flight mode”. 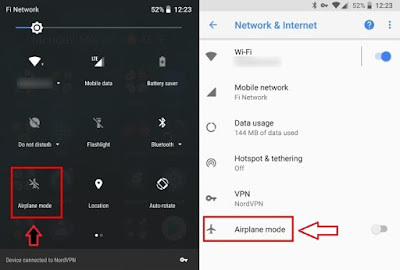 Wait for 2 minutes and disable the flight mode. That’s it jio network will work fine you can make free voice and video calling using this jio4gvoice app. 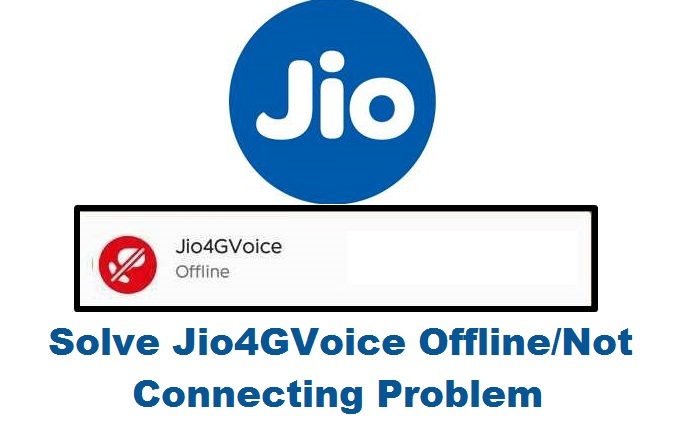 These are all the methods to fix jio4gvoice offline problem and not connecting issue. Try the both methods and enjoy the uninterrupted internet connection using jio network. The below method is personally I tried it is also working. The above method will solve the jio4g not connecting problem but in case if it is not working try this method also. Download and install Jio4gVoice app old version because the latest updated jio4gvoice app only causing this problem. First go to settings--> installed app--> from the list select “Jio4Gvoice app”--> from the menu option select permission manager and give permission to GPS and try to connect the network. I hope this tricks will work for you if you have any doubts related to any jio products please let us know in the below comment box. We come up with the best solution for you as soon as possible.